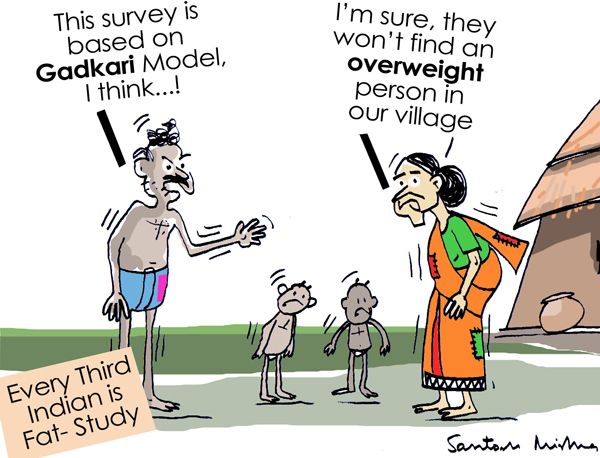 And this indicates that survey's can obtain 'desired' outcomes !! A decade before, the foreign firms trying to sell their 'slimming' solutions bombarded ads on TV channels. They were supposedly 'health products'. And I wondered - why did they want to cater to less than 1% of the 'fat' population, whereas majority population needed to gain more weight. Actually, developed in America and Europe, they had no product or solutions on sale that helped a thin man or woman gain more weight.